Stephanie Davidson grew up speaking Spanish and English because her mother is from Costa Rica; Stephanie lived there for a period with her family. 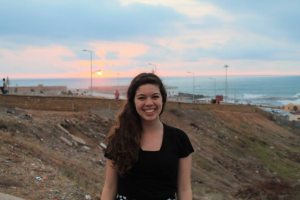 In high school, she wanted to see more of the world and challenge herself with a third language. She discovered NSLI-Y and decided to apply for Arabic. She was interested in Arabic because it seemed new and challenging, because she was intrigued by the many similarities between Arabic and Latin American cultures, and because she wanted to get to know the Middle East beyond the news and stereotypes she so often encountered. She participated in the summer 2012 program in Oman and then the 2013-14 academic year program in Morocco. 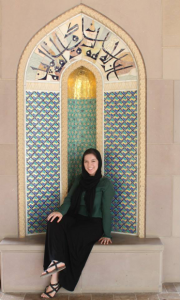 Since her NSLI-Y experiences, she has continued her Arabic language and cultural studies at the University of Texas at Austin, where she is pursuing a degree in linguistics with a focus on Arabic. She has also been a Language Partner for the Arabic Flagship Program and been an assistant for Arabic classes, honing her leadership skills. She hopes to one day become a professor of linguistics and be involved with language education in dual immersion schools.